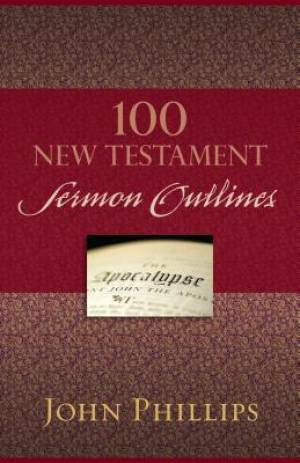 100 New Testament Sermon Outlines by John Phillips was published by Kregel Publications,U.S. in July 2015 and is our 44467th best seller. The ISBN for 100 New Testament Sermon Outlines is 9780825443749. Be the first to review 100 New Testament Sermon Outlines! Got a question? No problem! Just click here to ask us about 100 New Testament Sermon Outlines.